Fove has reached its Kickstarter goal as Friday, May 22, just three days into its 45-day campaign. Oculus managed to raise US$400,000 during its first 24 hours on Kickstarter, but it’s still exciting to see an Asian competitor hit its target so quickly. No matter how cheesy it made sound, virtual reality (VR) is here, with current technology finally ready to match its science fiction-level ambition. Meet Fove. 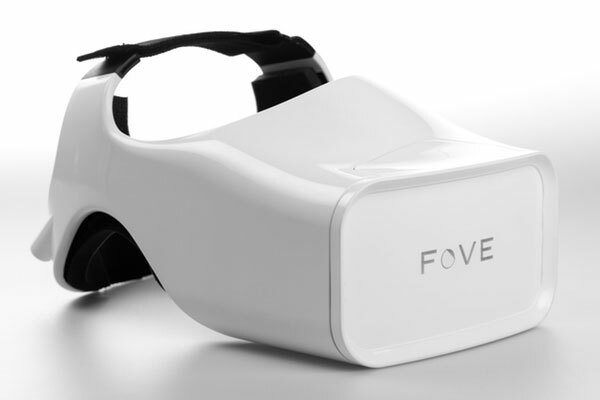 Named after the fovea, or the part of the eye responsible for central vision, FOVE claims to be the first VR headset available to consumers to use eye-tracking technology. The company’s proprietary algorithm, aka “Foveated Rendering,” measures depth of field focus by calculating the parallax between the wearer’s eyes. In addition, the Fove’s eye-tracking “drastically reduces” the motion sickness that has plagued many consumers who use headsets that rely only on head-tracking, Kojima pointed out. Since Fove is still in the early stages, there are issues with it being fooled by mascara and eyeliner. The algorithm sees the dark area of the makeup and adjusts itself accordingly. Fove told Engadget that a future version of the algorithm will only look for things that are dark and round. The headset is due out in May 2016, a timeline Kojima is comfortable with because FOVE has “hands-on support” from Toshiba and Samsung, which are providing components including displays. The headset already has multiple working prototypes and Kojima says that FOVE plans to use money raised from its Kickstarter campaign to refine its eye-tracking technology so that it is works equally well on all people, regardless of the shape of their eyes or face. The company is also checking the safety of infrared lights used in the device, but will begin manufacturing after those tests are complete.